The Instant Pot Duo Plus 9-in-1 appear on the market at the beginning of 2017 and is one of the latest models from the company. Comes with a lot of exciting features and is an upgraded version of the Best-Selling Kitchen Tool on Amazon the Instant Pot DUO60. With all the features that come with the DUO version plus upgraded and additional multi-function ones. The Instant Pot 9-in-1 is today on the number 1 of best-selling appliances and combines the power of 9 machines in one being a Multi-Use Programmable Pressure Cooker, Slow Cooker, Rice Cooker, Sauté, Yogurt Maker, Egg Cooker, Warmer, Steamer, and Sterilizer. Created to prepare perfect eggs in just a few minutes, it’s really easy to use. Although in our opinion the Low Pressure is still the best way to cook Pressure Cooker Eggs in the Instant Pot. Created to pressure cook soft moist cakes and work perfectly. This program can pasteurize milk, as well sterilize baby bottles, utensils, and jars and perform certain types of canning as well making it a killer in the kitchen! The Sterilze program is able to open a can of worms in case you would like to replace a pressure canner. But we would recommend you to use this program to sterilize utensils only. You can now go around your kitchen and donate any appliance that you have around to some friends or charities because this multi-functional kitchen machine does it all. If you ever thought that your slow cooker is more slow than cooker, welcome to the Instapot world!, Where you will get your food up to 70 % faster thanks to the technology that comes with this appliance. Press one button to gain access to 15 microprocessor-controlled programs. Recipe success is virtually guaranteed thanks to the material used to craft this product: it’s fabricated of 18/8-gauge food grade 304 stainless steel (this includes the lid). Another reason why you meals are going to be cooked so fast is the efficient 3-ply bottom that can distribute the heat uniformly throughout all the cooking process and once you are finished you can throw it in the dishwasher to clean it. When it comes to safety the Instant Pot 9 in 1 comes with the UL certification and 10 different safety mechanisms, and since it’s been deemed energy efficient, you’re not going to drive your power bills up, even if you use it every day. If you hate the steam that pressure cooking is all about here is another plus, with the 9 in 1 model there are no steam releases during the preparation process, so you will get all your wonderful aromas but none of the steam-related safety hazards. As we mentioned at the beginning you can replace 9 kitchen appliances with the Instant Pot 9-in-1 Multi-Use Programmable Pressure Cooker. Not only is it a programmable pressure cooker, it is also a slow cooker, rice/porridge cooker, yogurt maker, cake/egg maker, sauté/searing pan, steamer, warmer, and sterilizer. With an advanced microprocessor technology and 3 new built-in programs, it surpasses the Instant Pot DUO in versatility and smarts. You can customize each smart program with 3 adjustable pressure and temperature settings and the Instant Pot DUO Plus will remember them for the next time you want to cook your favorite dish your way. Schedule the start time of your meal with the start delay timer for up to 24 hours, so that dinner is ready exactly when you want it. Or, prepare porridge the night before and set it to be cooked just in time for breakfast. No overcooking or keeping food warm for hours until you and your family return home to eat. However, in case you do need to keep food warm for a little while until everyone is ready, a Keep Warm function is available. And last but not least! this model comes with a full supply of the accessories that you will need to make those recipes that you love, so you needn’t worry about spending extra cash to add utensil to your inventory, and there a recipe cookbook that comes along as well to use your Instant Pot like a pro!. The Instant Pot Company was aware of some consumers requests and they come up with this touchpad control panel that comes with the Instant Pot DUO Plus 60’s that is far one of the best displays out there. The LCD screen is large and displays a white text on a blue background making it really easy to read. It shows 4 new status icons: Pressure Cook, Heat, Keep Warm On/Off and Sound On/Off. The 9 in 1 also gives you time information, heating level (less, normal, more) and pressure cook setting (low, high). The old Timer button is out! and now is time for the “Delay Start” Button. Another button that is gone is the “Manual” Button that is now replaced by the “Pressure Cook” Button. They have also separated the “Keep Warm” Button and “Cancel” Button to make things less confusing. To simplify the button-pressing process, they have also removed the “Adjust” Button. There no need to press the “Adjust” Button to scroll through Less, Normal, and More functions. With this 9 in 1 model, you can now press straight to the program buttons to scroll through the three functions. Other updates on the controls are that you don’t need to press the “Cancel” Button to adjust the cooking time. And another upgrade that we love is that now you can now adjust the Cooking Time, Pressure Levels and Keep Warm Mode any time during the cooking process. Start time delay timer for up to 24 hours. 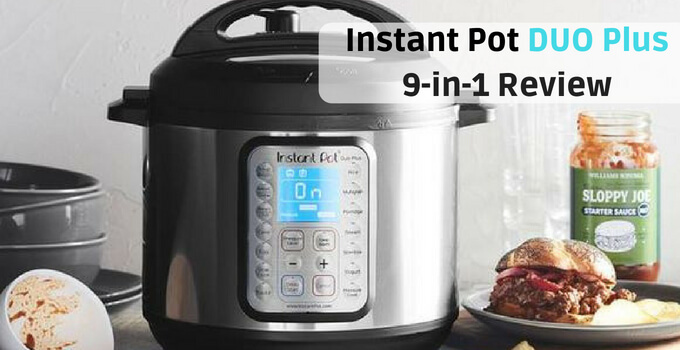 This Instant Pot 9 in 1 is part of the popular and reliable IP-DUO series but is the most improved version for the bunch featuring a cool LCD screen and new cooking programs. The Duo Plus has a stainless steel inner cooking pot, lid and steam rack. The inner cooking pot comes with a food-grade stainless steel (304 18/8) surface and the outer pot has a 3-ply bottom for perfect heating. So as you can imagine is free from non-stick coatings that can get scratched or chip off! The Duo Plus does not disappoint when it comes to safety. It has come with 10 safety mechanisms to prevent any type of problem that you can have when cooking. Instant Pot IP-DUO Plus60 9-in-1 – What is in the box? The Instant Pot DUO Plus 60 comes with a good amount of utensils to get you cooking without the need of anything else. Saves space in your kitchen counter or cabinet space. You could feel overwhelmed with too many functions. Foods may adhere to the inner pot despite contrary claims. You can get some leak steam if the lid isn’t properly secured. The rubber sealing gasket could keep some odors even if you wash it a few times. Not everyone thinks that the Instapot instruction manual is that helpful or easy to understand. 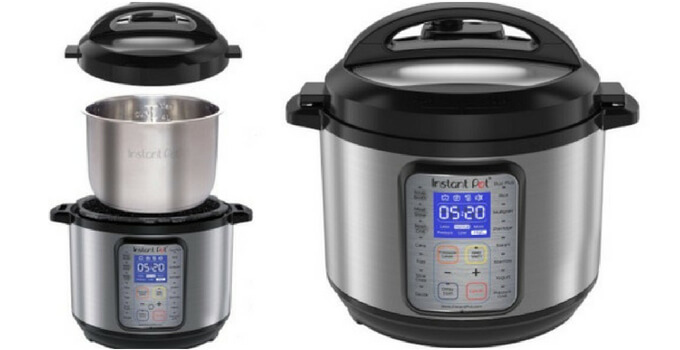 There are a few differences between the Instant Pot 9 in 1 vs the 7 in 1 like for example the ‘manual’ button is now simply called ‘pressure cook’, but the functions are exactly the same lets you set the cook time instead of using one of the pre-programmed buttons. Who is the Instant Pot DUO Plus 6 Qt 9-in-1 Multi-Use Programmable Pressure Cooker For? 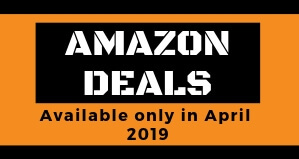 So is a good fit for people looking to save money, time and space have in mind that you will get a Programmable Pressure Cooker, Slow Cooker, Rice Cooker, Yogurt Maker, Egg Cooker, Sauté, Steamer, Warmer, and Sterilizer all at the same time. 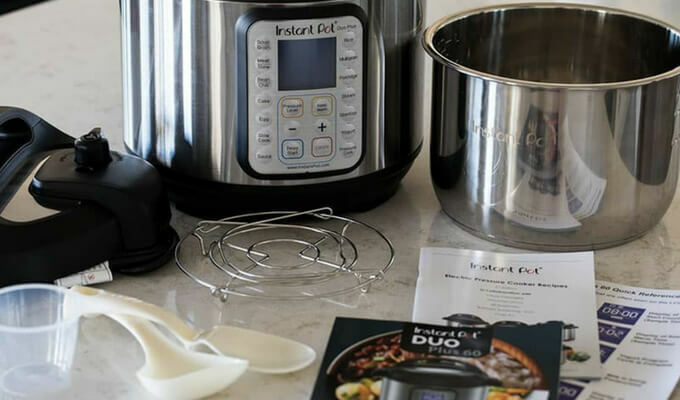 Why buy the Instant Pot DUO Plus 9-in-1? The 9 in 1 model is a good buy instead of the IP-DUO60 (reviewed here) since it comes with an improved control panel that comes with an easy to read LCD screen, a great program for boiling eggs and you can even make yogurt with its Yogurt program! Another advantage of this model is that comes with buttons for each smart program and also comes with buttons for adjusting the pressure level, delay start time (up to 24 hours) and keep warm on/off (up to 10 hours). The plus/minus buttons are a definite plus and can be used to adjust the cooking time. The stainless steel pot is another plus having in mind that most electric pressure cookers feature a non-stick coated pot. 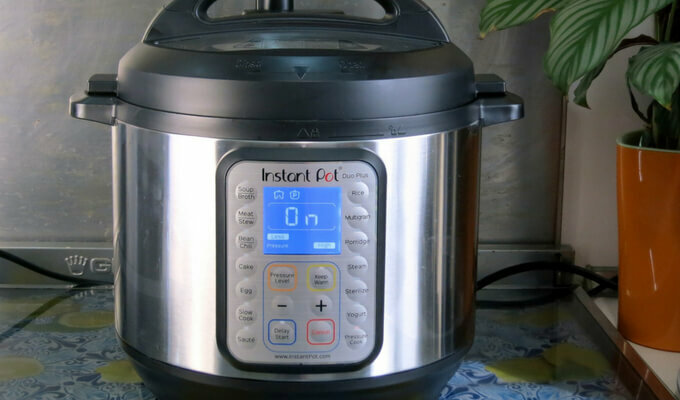 It seems like the Instant Pot Duo Plus has a lot of good points which add up to make it one of the best electric pressure cookers that money can buy. 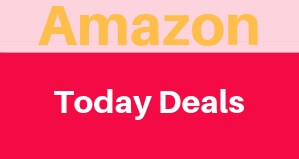 You can check for current prices and reviews for the Instant Pot Duo Plus at Amazon.com. This amazing multi-function small kitchen appliance is a must for your cooking needs. It is an advanced, improved model over previous versions and better than other manufacturers’ models. Having in mind all the improvements and uses that we discuss on the review like the new interface that is a lot more user-friendly than any other appliance out there and even the IP models. From packaging to the new buttons, they have truly put in a lot of effort to bring you the most full-featured cooker, upgraded from the best selling Instant Pot DUO60. The newer Instant Pot Duo Plus 9-in-1 has all the features you’ve come to love in the Duo 7-in-1 with many of the same pre-programmed buttons including soup, Meat & Stew, Bean & Chili, Poultry, Sauté, Steam, Rice, Porridge, Multigrain, Slow Cook, Keep-Warm, Yogurt, Pasteurize & Pressure Cook plus three newer settings: Cake –Egg – Sterilize.